I had really enjoyed listening to The Shape of Mercy (by the same author), so that was why I borrowed this title for free from Libby. 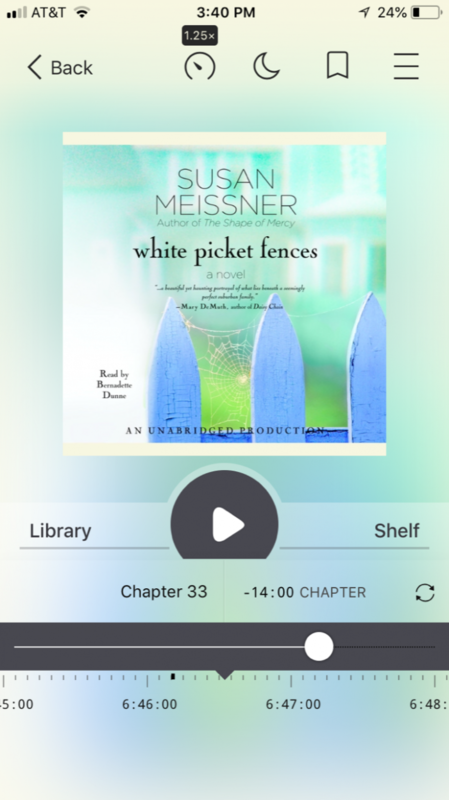 Unfortunately, I thought White Picket Fences was just an okay novel. For me, there wasn’t enough character development and the plot was kind of weird and unbelievable. And I didn’t think it had a really deep meaningful conclusion. So this is not a book I’d highly recommend. 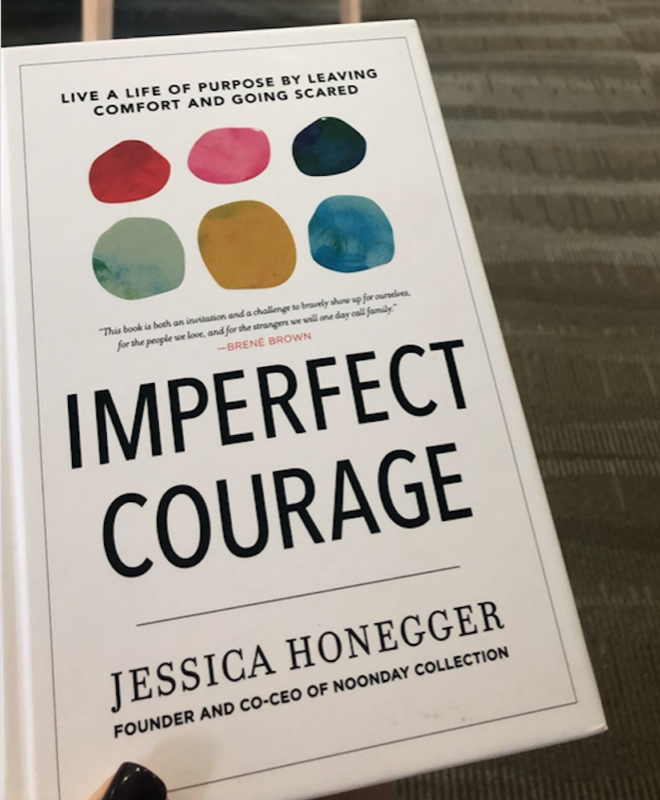 I picked up Imperfect Courage based upon the recommendation of a few people I trust… and I almost didn’t read past the first few chapters because I had trouble following them and felt like they skipped around too much in her story. But I kept reading — and I’m so glad I did! The second half of the book is SO good! I loved her thoughts on friendship and community and how to live out love to others — even when things are messy and hard. If you struggle with finding and building community, I think these chapters are so worth reading. Looking for more? Read more posts about Books Read in 2018. I just finished “Grandma Gatewood’s Walk”, a book about the first woman to hike the Appalachian Trail solo. She just happened to be 67 at the time! She went on to do exciting things after that, too. A very inspiring read. Oh wow! That sounds like such a good read! I’m reading Just Open the Door, and LOVING it! Its challenging and gives great practical ideas, but I mostly love her heart and purpose behind it. I’m also reading the third Secret Zoo to my kids. Our last read was Mr. Poppers Penguins, which we all loved! YES! I LOVE that book! I am currently reading “The Legend of the Monk and the Merchant: Twelve Keys to Successful Living” by Terry Felber to my kids and my husbands. It is an adult book but in story form so my husband feels that my kids can get something out of it. I also just started reading “Strength Finders 2.0 and “The Power of a Praying Parent.” I tend to read more than one book at a time so I don’t usually complete books as quickly as I could if I’d focus n just one. Those sound like such great books! I’m about to finish The Awakening of Miss Prim and have enjoyed it very much. In the last week, I finished The Fabulous Bouvier Sisters (have been intrigued by JBKO since high school) and enjoyed it though found it a bit sad thinking of what lonely lives those who look like they have everything sometimes lead. Also read Simple Acts of Kindness: 500+ Ways to Make a Difference which was delightful and full of great ideas! I am just finishing up the audio book of “Girl Wash Your Face”. I listen to it whenever I get a chance. I also recently finished “Smart Money, Smart Kids” and currently in the middle of “Business Boutique”. I love to read and it is actually super unusual that there are no fiction books on this list. I am consciously trying to read/listen to more non-fiction this year. Normally I read hundreds of fiction books and maybe 1 non-fiction per year. – “Passport through darkness” follows the story of how God got the attention of the author’s attention in her middle-age years and how that got her involved in the fight against human trafficking and genocide in the Sudan. A hard read, but HIGHLY recommended. – “Love Hunger” is the story of one man’s broken childhood, and how that led him into a series of harmful behaviors, including drugs and prostitution during college in the 70’s, and his experience in Hollywood as an actor, being caught up in a cult, and ultimately coming back to God and how God has used him since then. Wow! Thanks so much for sharing! These look like great titles!